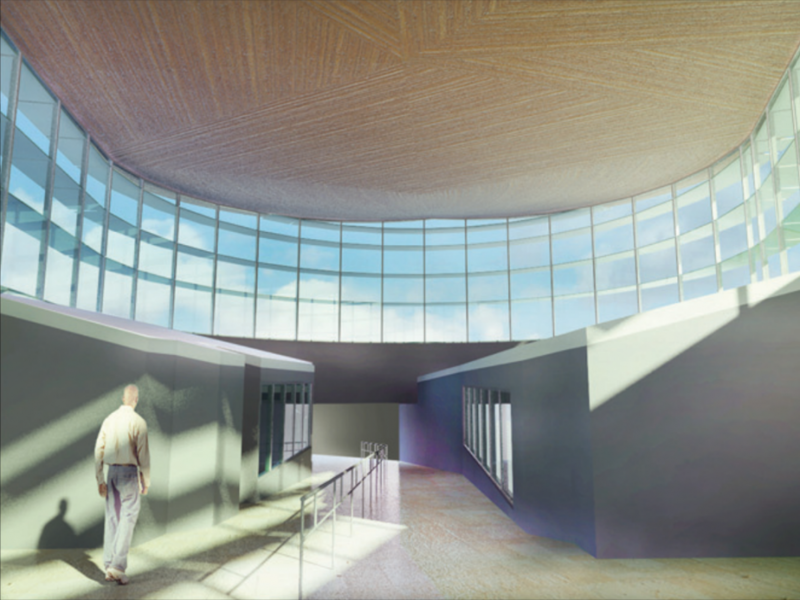 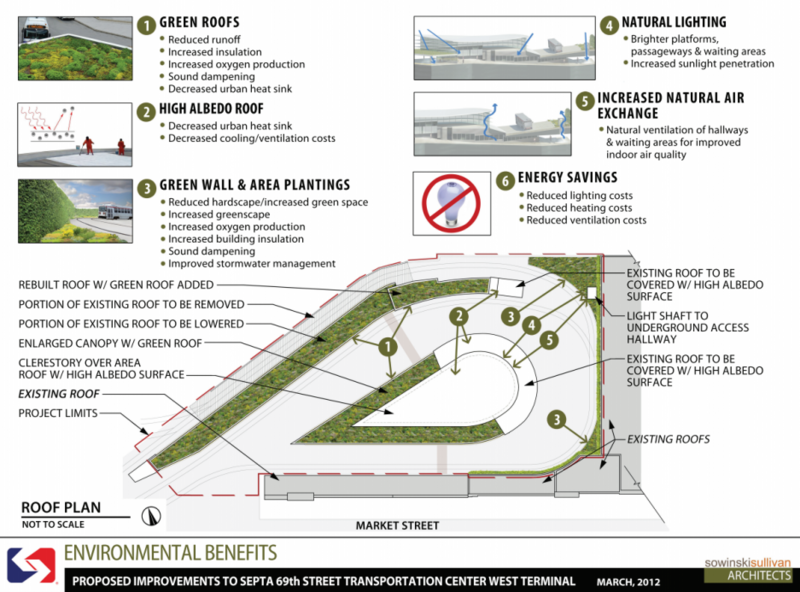 • Furthering SEPTA’s commitment to sustainability by incorporating design features including green roofs to reduce storm water drainage, energy efficient LED lighting and architectural elements in the passenger waiting area that will allow for increased natural light and reduced energy use. 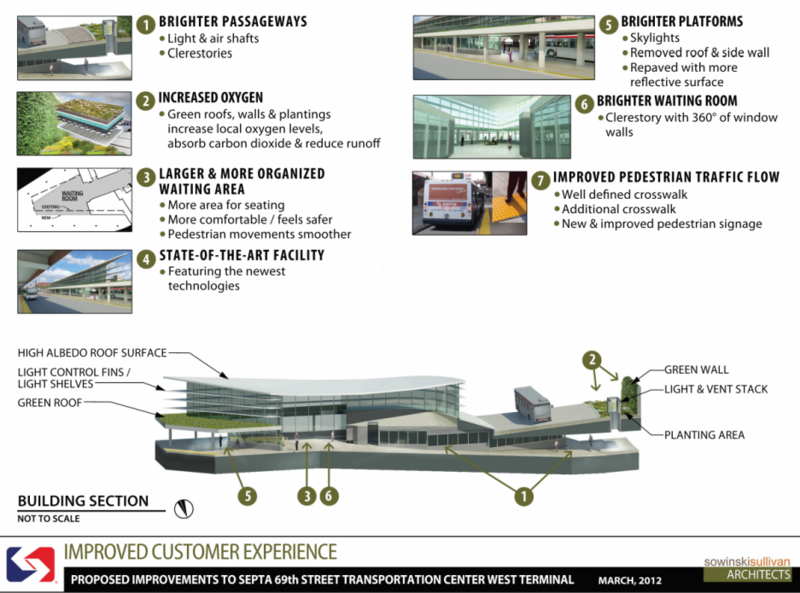 Also during Monday’s ceremony, state Representative Patrick Meehan was quoted as saying that he expected the terminal’s modernization to serve as a “model for how we will be able to make old buildings sustainable,” according to the Inquirer’s Caitlin McCabe. 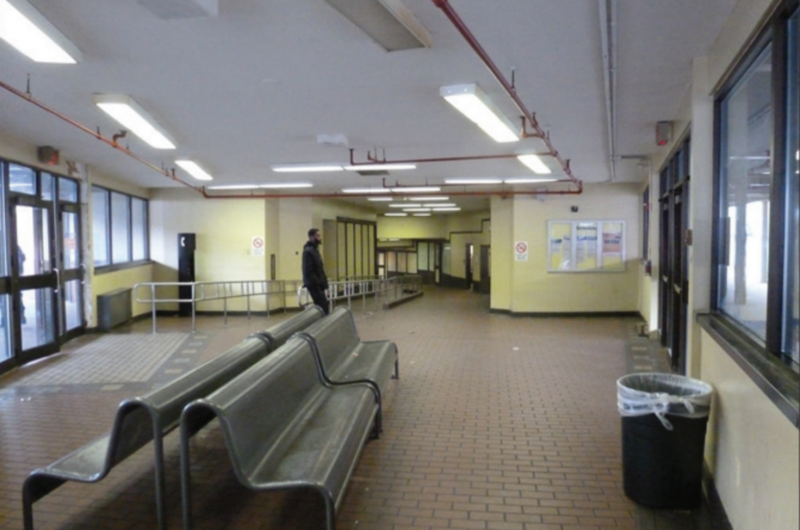 West Terminal, which had some work started this past fall, is set to close June 15th. 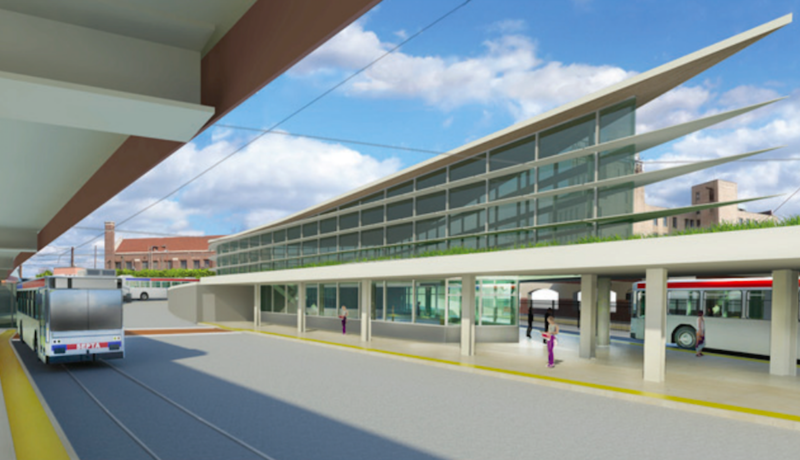 The terminal is anticipated to reopen in September and be finished in November. In the meantime, McCabe reports, shuttle buses will stand in for trolley Routes 101 and 102 and be moved to the South Terminal, while bus routes 104, 112, 120 and 126 will relocate to Market St. and Chatham Rd. 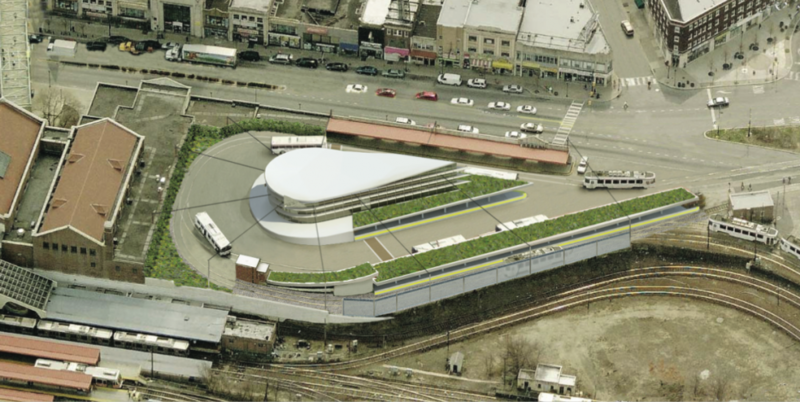 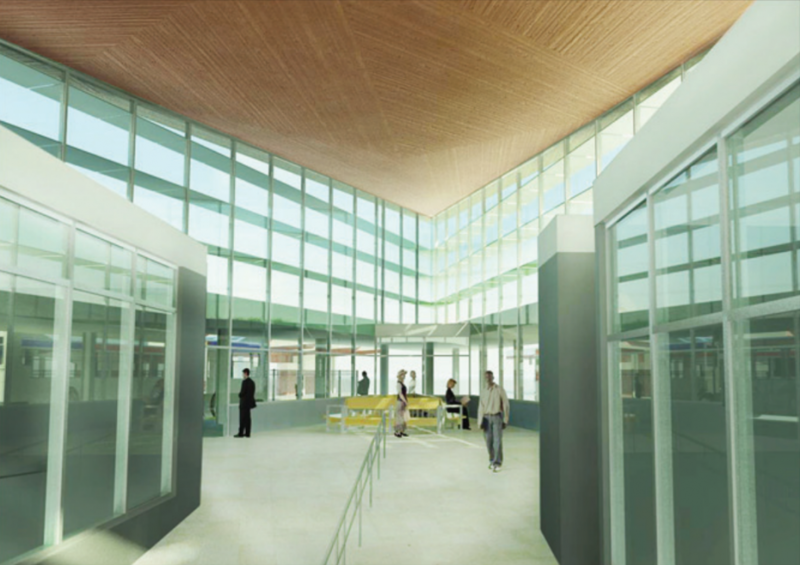 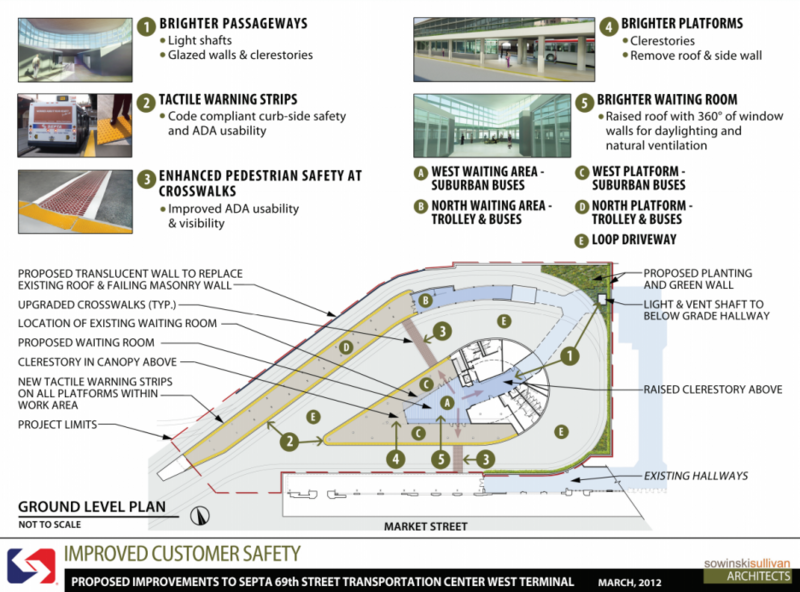 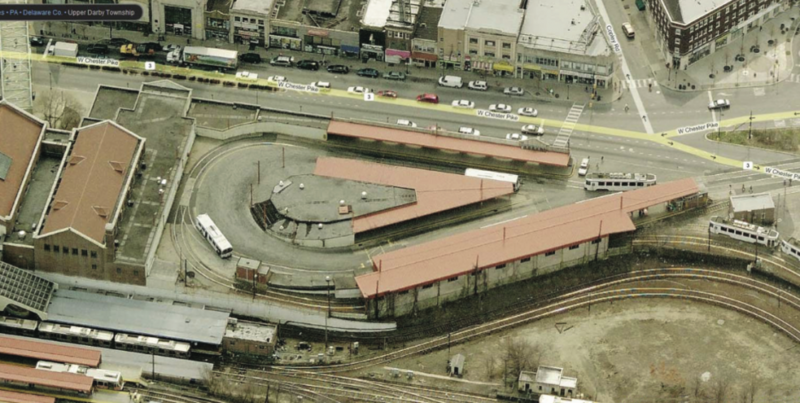 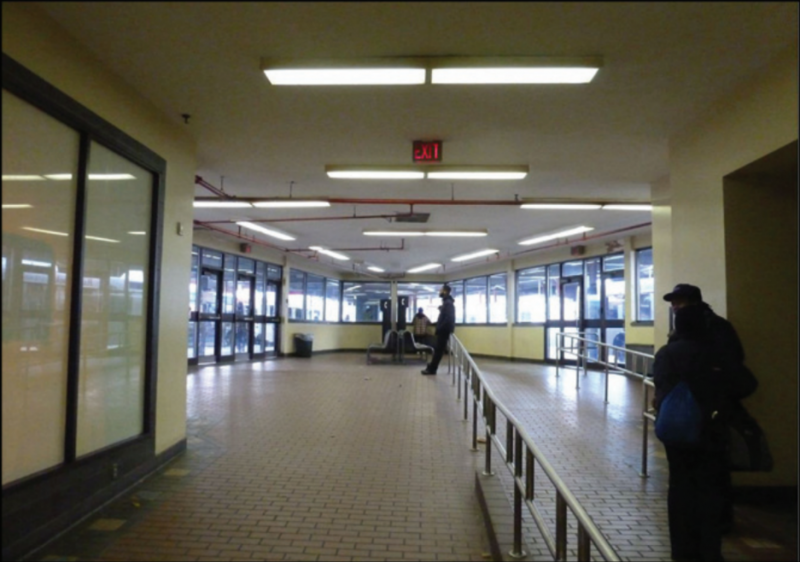 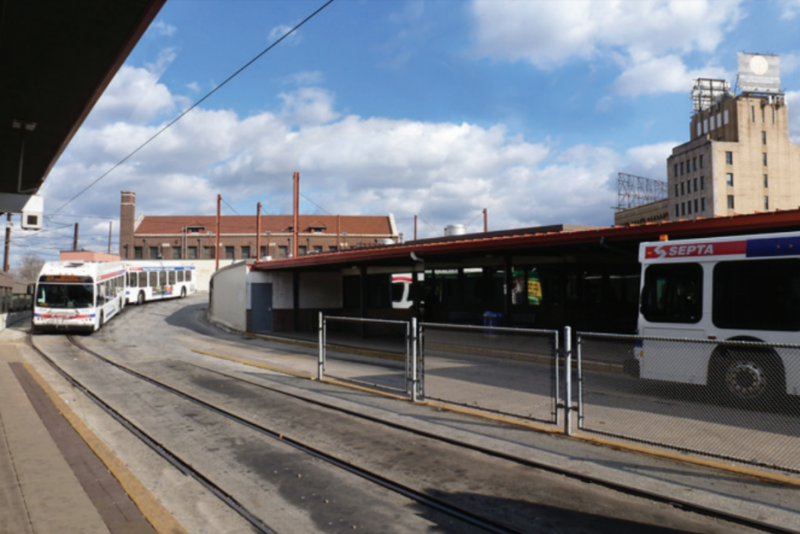 Below are SEPTA’s slides of the terminal’s current look, along with 2012 renderings of what it’s expected to look like after renovation work is complete.